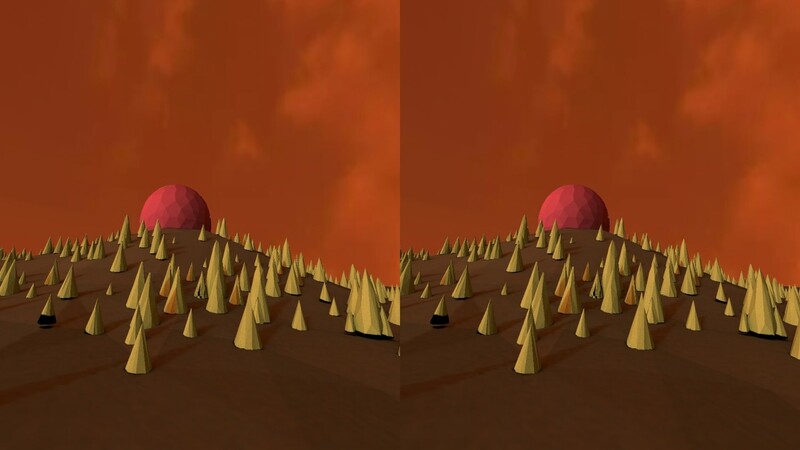 The current emergence of virtual reality, be it through dedicated and more expensive devices such as the HTC Vive or Oculus Rift, but also the cheaper Google Cardboard, are bringing a much more immersive experience than the anaglyph images we've created in the past. These young devices are combining the full 360° viewing experience with spatial audio (audio lives around you); thus creating a new dimension in which the perception of what is real and what is virtual starts to be less obvious. This technology is bringing new elements not unlikely to create yet another paradigm shift. It must have been in this spirit that a group of web enthusiasts started dreaming of what a website, or the internet in its whole would look like in this new dimension. 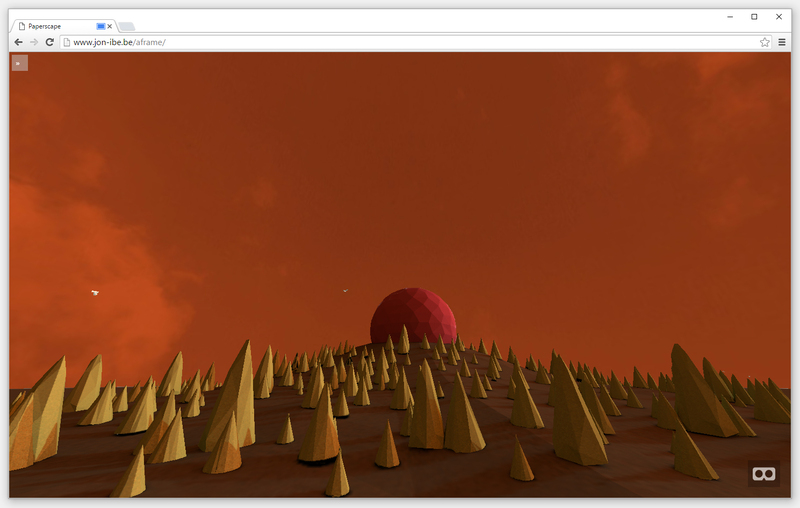 The project A-Frame is initiated by Mozilla's virtual reality research team. Their ambition is to bring the world of web developers to the space of VR. To put it in simple terms: they are creating a way that translates the language already familiar to web developers, HTML, to the language of 3D capabilities that already exist in current web browsers. And while the applications built with A-Frame may seem inferior to other 3D web experiences, they are succeeding in providing web developers with a much more accessible way to build a 3D internet. And as goes for current web developers who have to take in account all the sorts of devices (phones, tablets, computers, ...), A-Frame is bringing the next device to this list: VR-glasses. 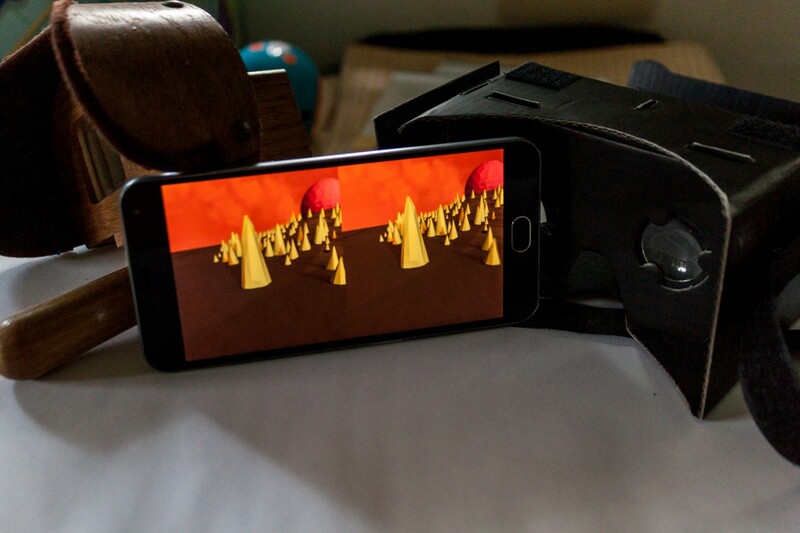 In short this means that whether you're visiting an A-Frame project with your computer, smartphone or Google Cardboard, all platforms should be able to display the same information. That all being said, we have tried to translate the interactive piece (game), Breathing scape, to this new web technology. It has far less graphic quality, lacks the interactivity, takes a long time to load, ... 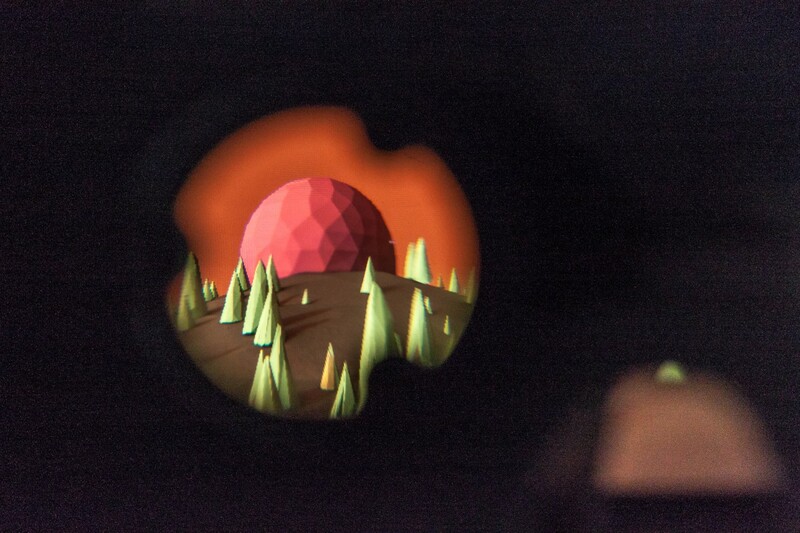 But we can only dream of what possibilities virtual reality could create for artistic experiments such as these.